The seamless way for fans to support you directly from your podcast. Instantly receive recurring payments around the world. There's no fee to set up Podbean Patron, the easiest way to begin gaining financial support for your podcast. 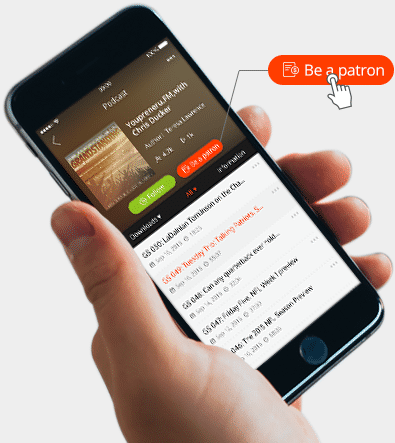 Your patron campaign is exposed to millions of potential listeners in our popular Podbean iPhone and Android apps. Your listeners can become patrons easily while listening on-the-go, anywhere and anytime.